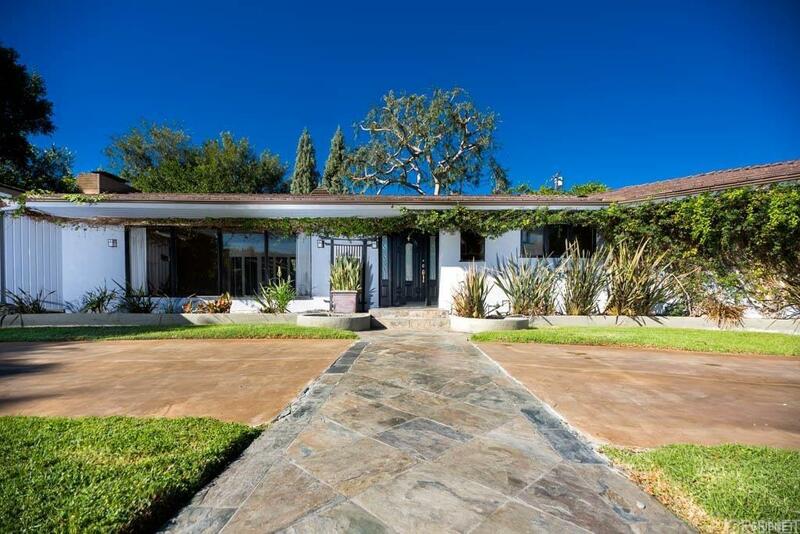 Enter a Zen like atmosphere surrounding this Toluca Lake Pool home behind gated on a 13,829 sq ft lot. Master bed with bath, gas fireplace opens to serene yard with pool. 2 additonal bedrooms also have baths attached. Large living room with fireplace and formal dining all face rear private yard. Kitchen with 6 burner Wolf stove top, double oven, granite counters. Laundry room off kitchen with washer/dryer. Addtl Features include oak cabinets, pantry, washer/dryer, solid oak floors, new carpet, freshly painted inside and out, expansive floor to ceiling glass, ADT wired, slate patio and rock paths, completely private garden with 40' updated French Gray pool ( 3 feet deep at both ends! 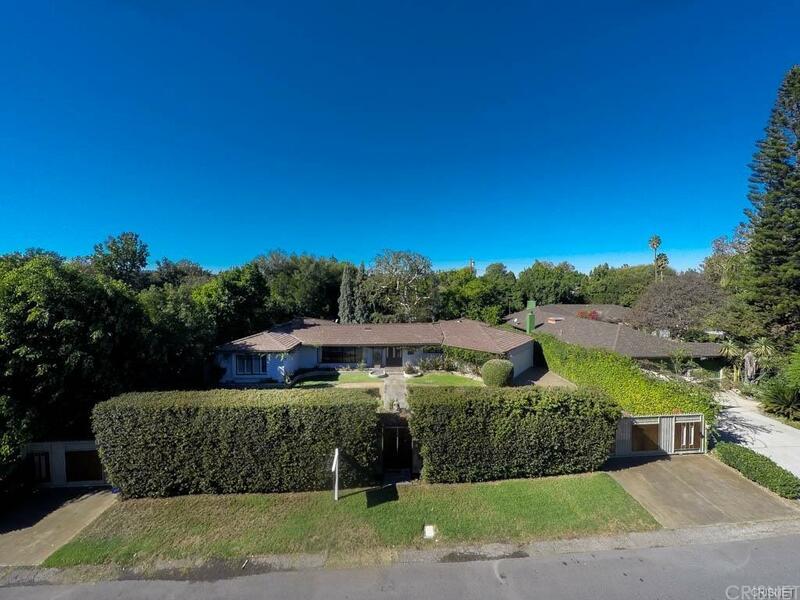 ), great sun exposure front and back, giant 2 car garage with built-in shelves, 2 storage rooms, Teak & Iron gates with 18' hi hedges and antique Japanese Temple doors, expansive circular drive, 2 fireplaces, enclosed showers, gorgeous marble counters in 3 baths. 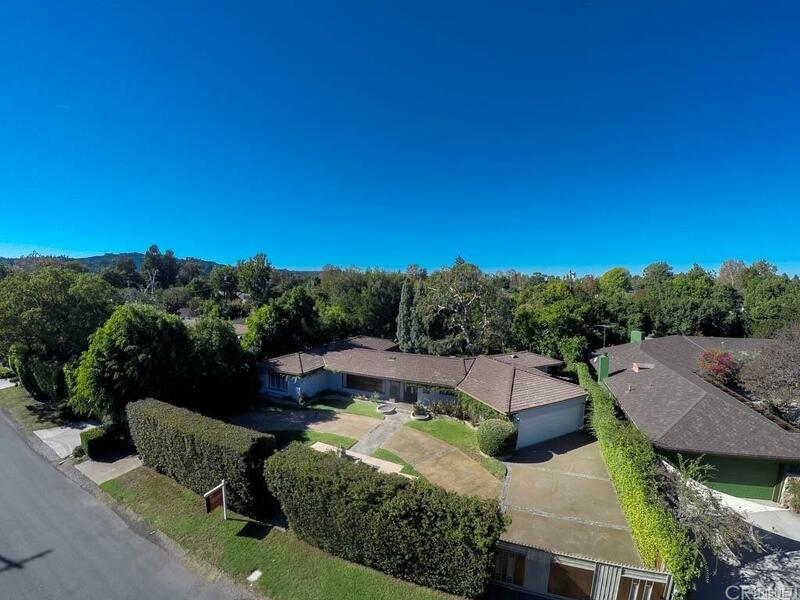 Fabulous location, walk to Trader Joes!! Sold by Ben Gevdzhyan BRE#01202329 of Global Realty & Mortgage. 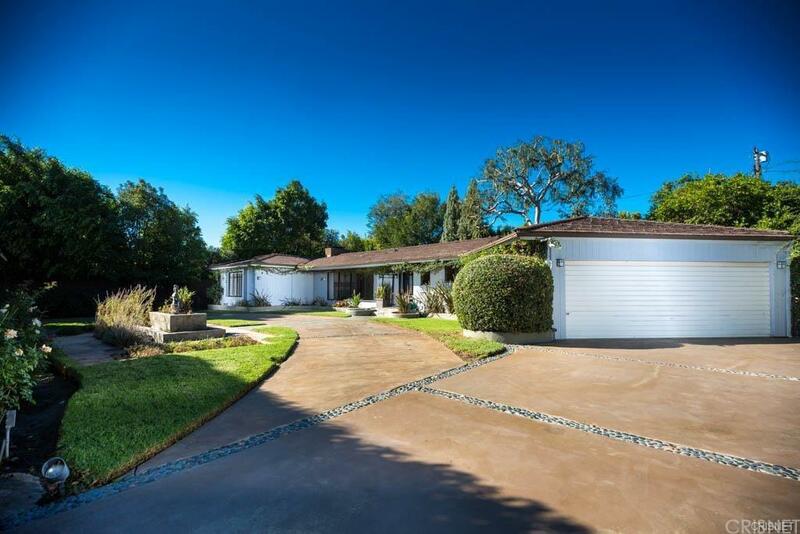 Listing provided courtesy of Ben Gevdzhyan DRE#01202329 of Global Realty & Mortgage.